Kartik mahina is the eighth month in a traditional Hindu calendar followed in North India. Kartik Month 2019 begins on October 14 and ends on November 12. Karva Chauth and Diwali are the most important festivals observed in this month. This calendar is followed mainly in Uttar Pradesh, Himachal Pradesh, Madhya Pradesh, Uttarakhand, Rajasthan, Haryana, Bihar and Chhattisgarh and other North Indian states. A month in these regions is calculated from the day after Purnima or full moon to the next Purnima. The current year in the Hindi Calendar is Saka 2076. What to do on Kartik Mahina? People take bath early morning at home or perform holy dip in sacred rivers. They then chant the holy names of Lord Vishnu or chant Damodarastakam. People offer arghya or puja to Vishnu and Surya in the morning. 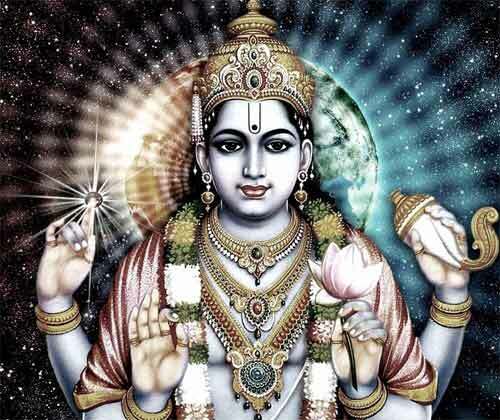 Reading Holy Scriptures of Vishnu in this month is meritorious. Some people only eat vegetarian food in the month. Some people opt for only a single meal during the entire month. Performing charity in the month is considered auspicious. Donating bananas and gooseberry (amla) helps in achieving success and honor. People avoid urad dal, masoor, bitter gourd (karela), baingan (brinjal) and green vegetables are avoided by some Hindu communities. Chaturthi Vrat or Sankashti Ganesh Chaturthi in Kartik Month 2019 is on October 17. The Chandrodaya or Moonrise time as per North Indian calendars is 7:58 PM. This particular Chaturthi is also observed as Karva Chauth. Kartik Month Shukla Paksha (waxing phase of moon) is from October 29 to November 12. Amavasya is on October 28, 2019. The Amavasi begins at 11:51 AM on Oct 27 and ends at 9:43 AM on Oct 28. Diwali and Lakshmi Puja are held on October 27. Purnima is on November 12, 2019. The Purnima begins at 5:54 PM on November 11 and ends at 7:02 PM on November 12. Tripurari Purnima is observed on the day. Purnima Vrat is on November 12. Note - It must be noted that Kartik month in calendars followed in Maharashtra, Gujarat, Andhra Pradesh and Karnataka begins on October 28 and ends on November 26. Kartik, also known as Kartak, is the first month in Gujarati Calendar and the Gujarati New Year is celebrated on the first day of the month. It is on October 28, 2019. Next month in North Indian Hindu calendar is the Margashirsh month.